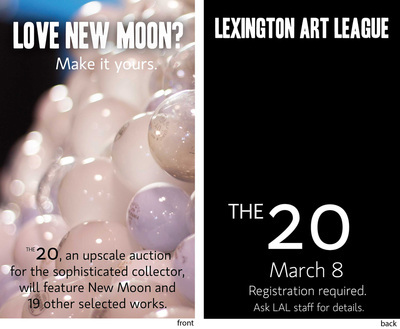 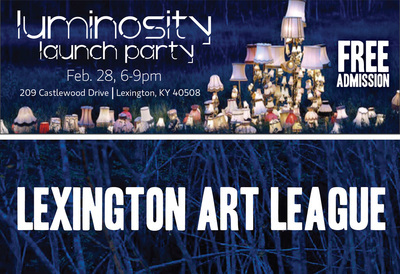 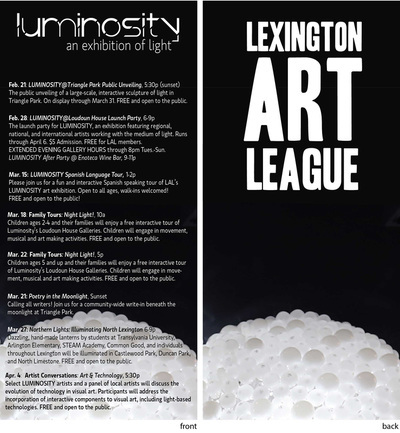 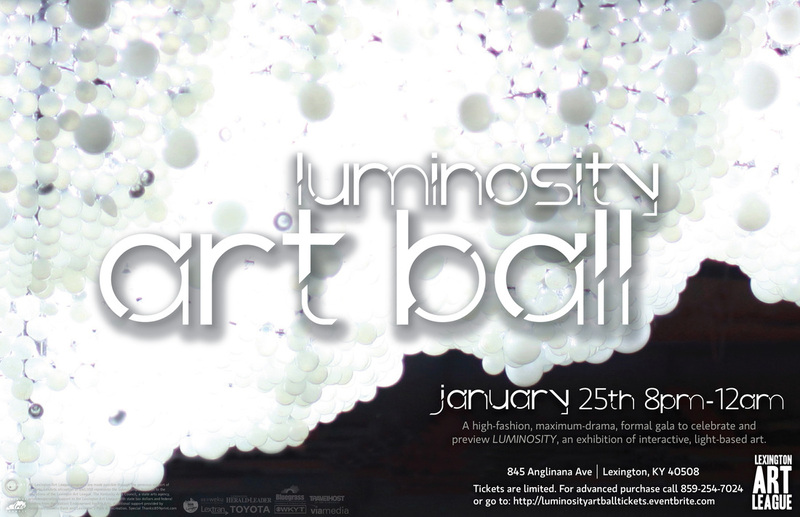 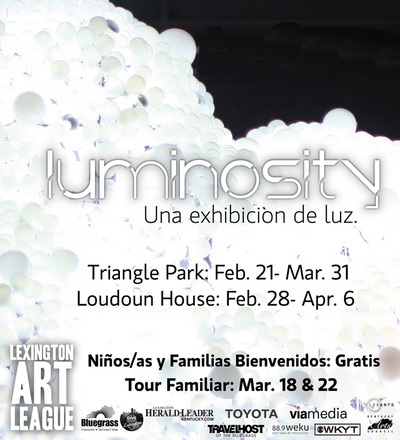 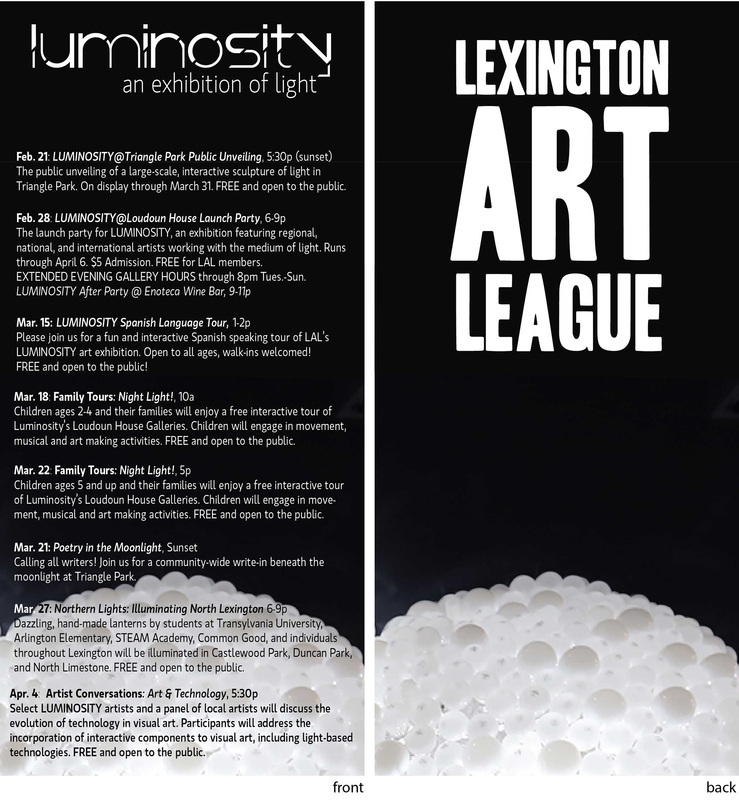 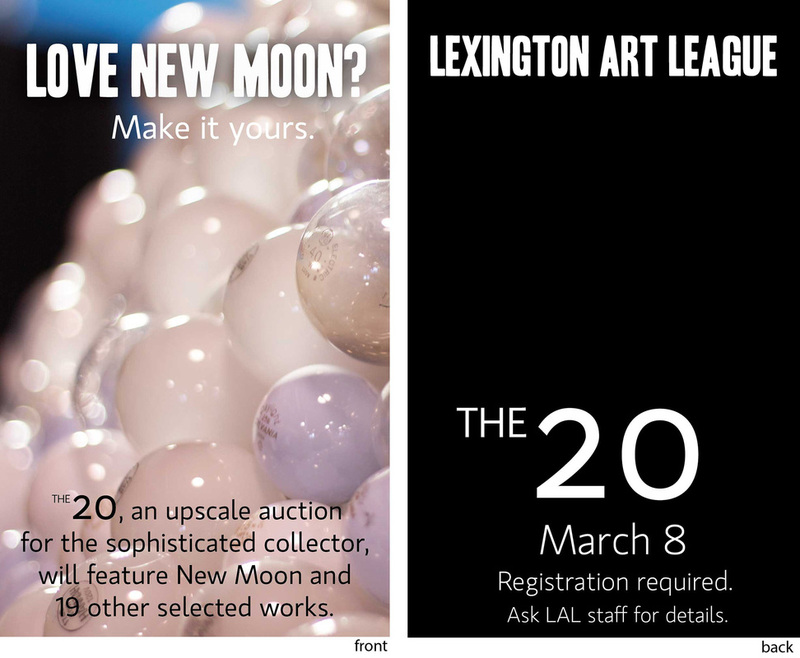 Art Ball was the Lexington Art Leagues first Gala experience. 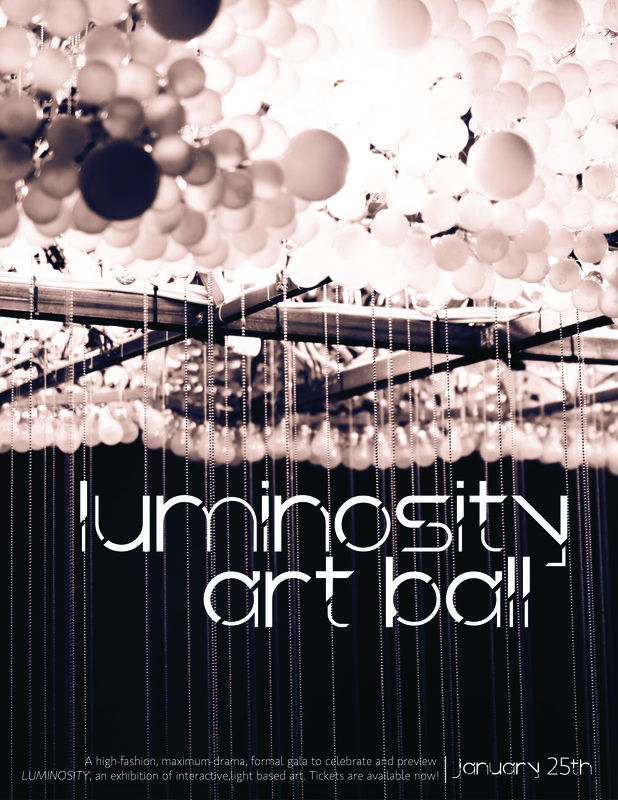 Marketing for this even needed to give hints not only to the excitement of the the art pieces that was being shown, but also breath hints of a luxurious party. 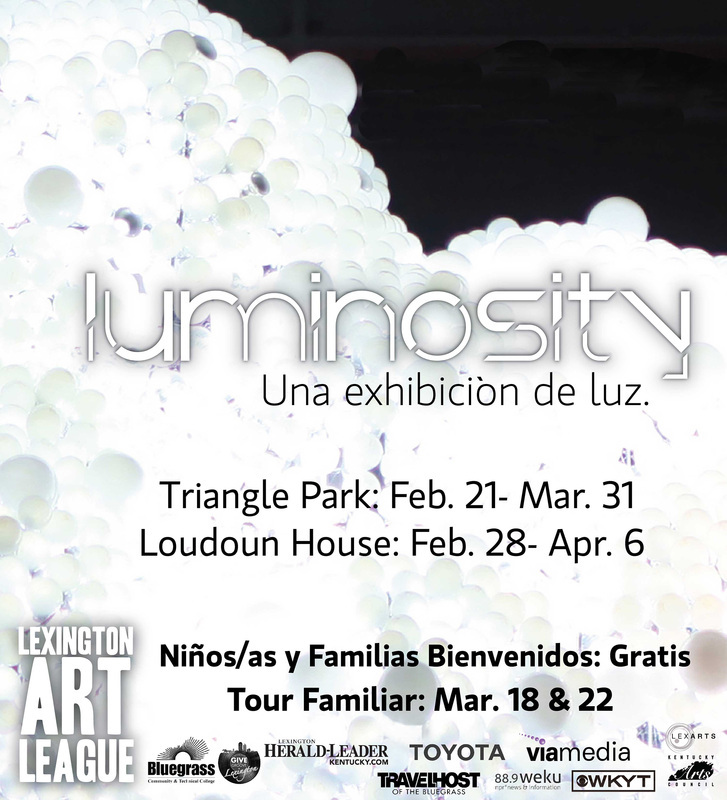 Blacks against the contrasting whites of the lightbulbs were used. 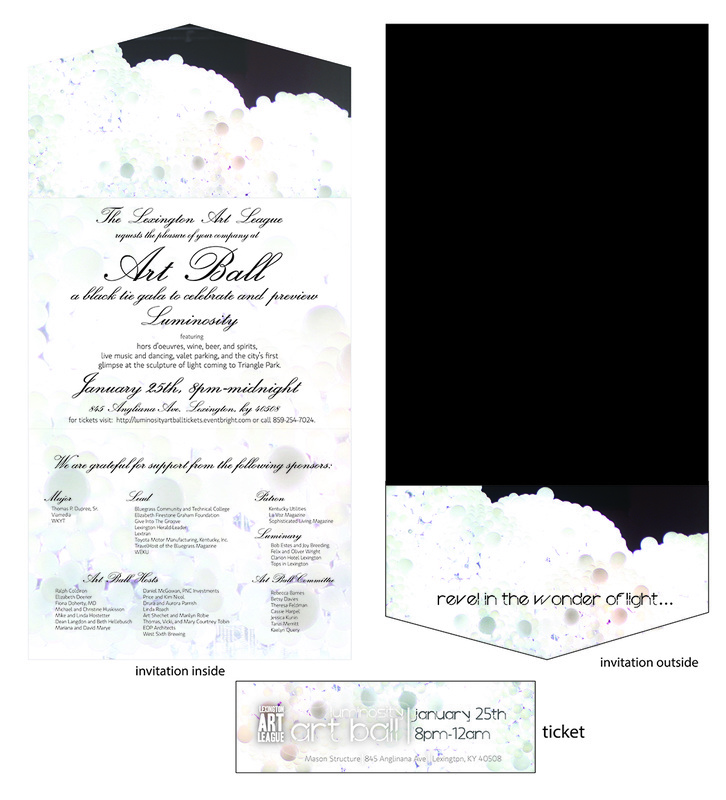 Left Top: Art Ball Poster, Left Bottom: Art Ball Invitation and Ticket. 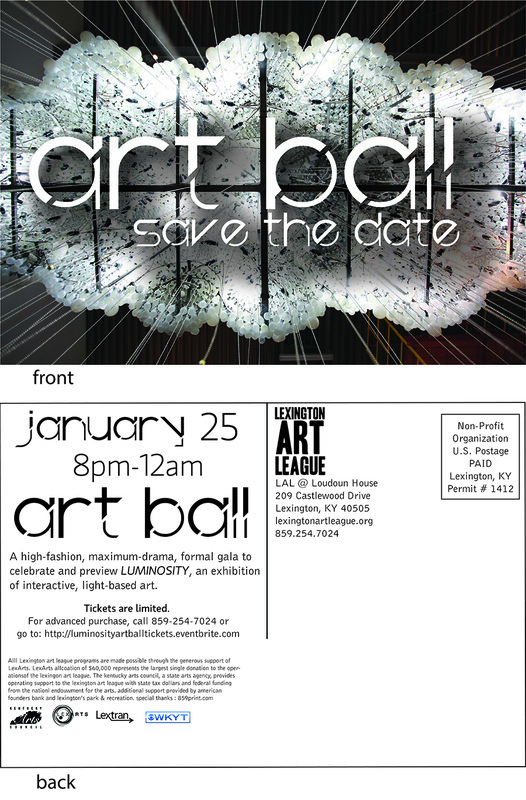 Top: Save the Date Postcard, Below: in-house small ArtBall Poster. 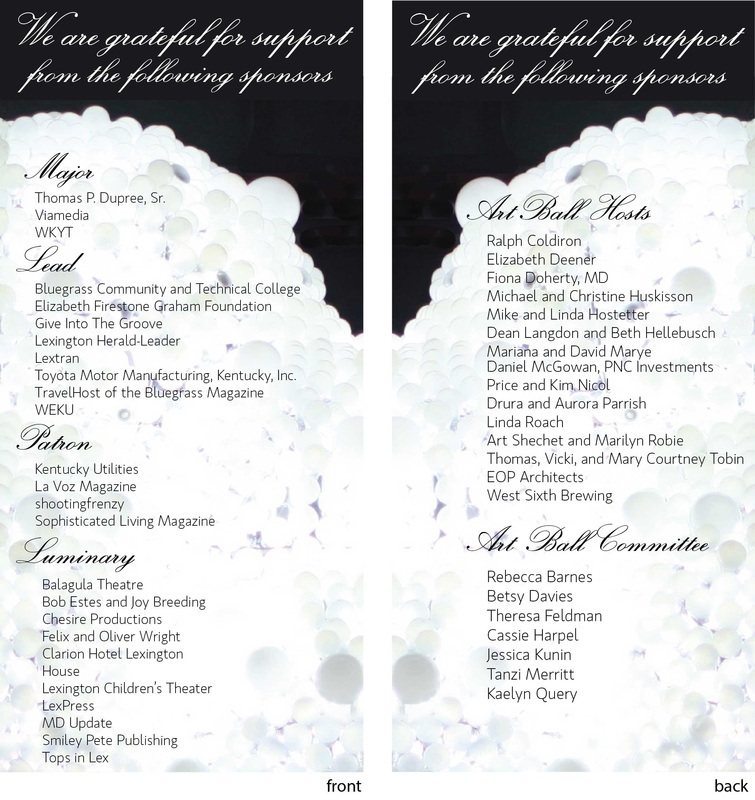 Items placed inside gift bags that were handed out to attendants after the Art Ball event was over. 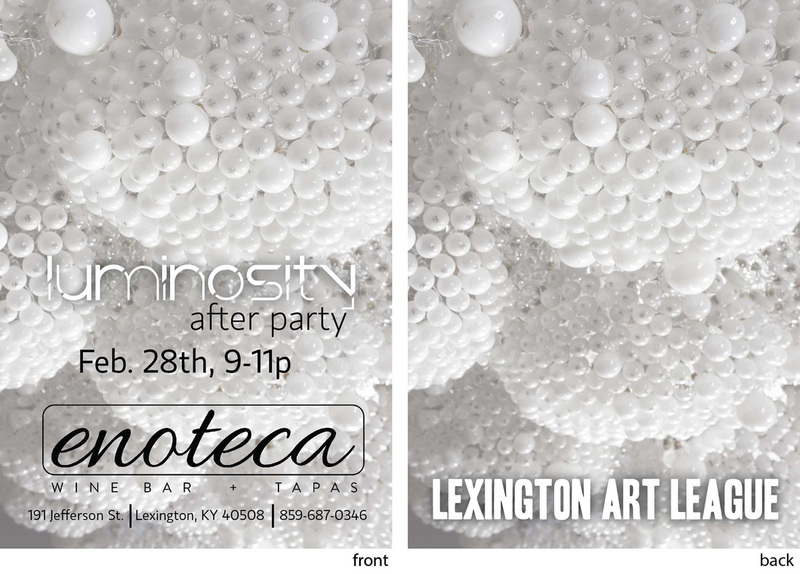 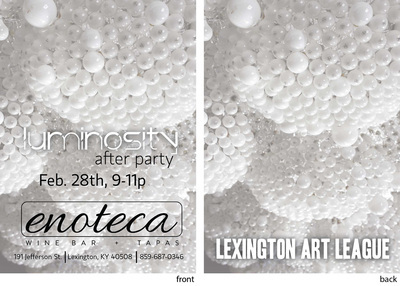 In Order of Appearance: Luminosity After Party Card, Luminosity Events and Dates card, Luminosity Sponsor Card, The 20 information card, Ticket for Luminosity Opening. Click to view larger images.